Brower & Sons Power washing and Gutter Cleaning is a full service residential and commercial Window Washing - Gutter Cleaning - Power Washing Company serving Lynbrook and all of Nassau County Long Island New York for over 30 years. Locally owned and operated - With Brower & Sons, you can expect quality, on time service at very affordable prices. Call us at 516.889.7926! 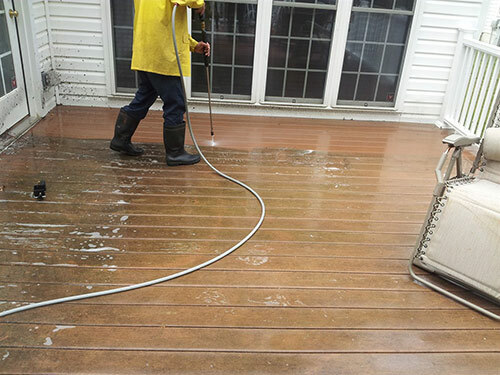 We provide residential pressure washing in Lynbrook and the surrounding areas, we provide environmentally friendly cleaning services. The appearance of your Siding, Decks, Driveways, Walkways and Patios can all be enhanced. Pressure washing aids in relieving your home of pollution, light oxidation, oil, and other signs of neglect. For MONEY SAVING coupons for our Lynbrook power washing, gutter cleaning, chimney cleaning, window washing and repairs click below. If you have any question call Brower & Sons Power washing and Gutter Cleaning services for friendly advice and estimates at 516.889.7926.